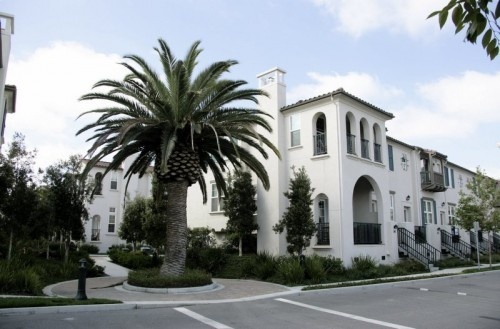 THIS PULTE-BUILT COMMUNITY FEATURES TOWNHOMES WITH A SPANISH MOTIF WITH THE TRADITIONAL WHITE STUCCO. EACH OF THE TOWNHOMES IN COLLEGE PARK HAVE 2-CAR GARAGES. THE ARCHITECTURAL STYLE ALSO IS ENHANCED BY THE RAISED ENTRANCES, PATIOS, ENCLOSED PORCHES, AND TOP FLOOR BALCONIES. THE COMPLEX IS CENTRALLY LOCATED IN DOWNTOWN SAN JOSE OFF OF N. FIRST STREET AND IS WALKING DISTANCE TO RESTAURANTS AND ENTERTAINMENT. COLLEGE PARK IS LOCATED ADJACENT TO RYLAND PARK AND IS A NICE WALK TO DOWNTOWN'S RESTAURANTS AND SHOPS.